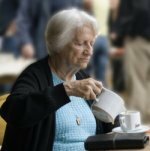 Thinking of improving your overall health? Look no further than Herbal Fiberblend. Australia has hundreds of people who can testify to the health benefits of this herbal fiber blend. Order by phone (07)4092 7351 or order online. Eating is a most important part of living (it’s certainly something I enjoy doing!) and healthy digestion is just as important. Herbal Fiberblend® provides the fibre that is so often lacking in our diets. An adequate fibre intake helps cleanse and detoxify the body in order to maintain digestive health and achieve whole body health. Helps maintain a healthy digestive function. 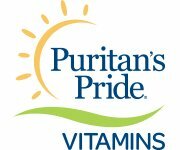 Assists in the maintenance of general well-being and whole body health. Aids in the prevention of constipation. Promotes elimination, encouraging regular bowel movements. Reduces transit time and provides a more thorough evacuation of waste. Has a cleansing effect on the bowel. Detoxifies—removes toxins from the body. Water-soluble fiber helps maintain healthy cholesterol and blood sugar levels. Fiber may reduce incidences of diverticulosis, colon cancer, and appendicitis. Order Herbal Fiberblend in Australia at the lowest wholesale prices! Nutrition Australia recommends consuming 30-35 grams of fibre per day on average. The daily intake of fibre by the average Australian adult is about 20-25 grams. A number of studies on disease and population have found that in populations with high-fibre diets, the incidences of colon cancer, appendicitis, and diverticulosis, are very low. In industrialized countries, where diets are largely high in fat and low in fibre, the incidences of these diseases are high. Fibre has long been recognized as one of the best food sources for maintaining regular and normal bowel movements. Consuming fibre reduces transit time and results in a more thorough evacuation of waste materials. Fibre causes starches and sugars to be absorbed more slowly into the bloodstream, therefore, the amount of glucose in the blood is reduced and so is the work required of the pancreas in producing insulin. Studies reported by the Kellogg Company indicate that a daily intake of 10 grams of psyllium may lower cholesterol by as much as 15%. Fibre is also a preferred food source for beneficial intestinal bacteria which helps maintain healthy digestion. Found only in plant foods such as fruits and vegetables, fibre is an indigestible complex carbohydrate and adds few, if any, calories to the diet. This is particularly beneficial in weight-loss programs. There are two main types of fibre – water-soluble and insoluble. Water-soluble fibre dissolves in water and is found in oat bran, legumes, psyllium, nuts, beans and various fruits and vegetables. It forms a bulky gel with water in the intestine to assist the flow of waste materials through the digestive tract. Insoluble fibre can’t be dissolved in water. This type of fibre includes the undissolvable parts of plant walls and is found in greatest amounts in cereals, brans and vegetables. The primary function of insoluble fibre is to collect water, which increases stool bulk in the large intestine. 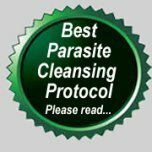 This promotes bowel movement, and as the bulk works its way through the intestine, it scours the intestinal walls of waste matter, keeping them clean and healthy. Herbal Fiberblend® Australia contains both soluble and insoluble fibre for a complete source of valuable fibre. Professionally researched and formulated, Herbal Fiberblend® in Australia is a convenient, easy-to-use fibre supplement available unflavoured or with a raspberry flavour. The main source of fibre in Herbal Fiberblend® is psyllium, which has more than eight times the bulking power of oat bran. Psyllium is about 75 to 80 percent dietary fibre; 60 to 70 percent of which is soluble fibre. 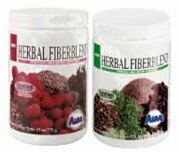 Herbal Fiberblend® is a mixture of fiber and herbs that has been specially formulated to encourage the body to help itself. The herbs bring you a wealth of nutrients. Fourteen herbs contain iron, 14 contain B-complex vitamins, 13 contain calcium, 13 contain vitamin C, 13 contain potassium. Combined, these herbs make HFB one of the most valuable fiber products available today. If you decide to try Herbal Fiberblend, Australia has an office and warehouse in Melbourne which can supply your needs. Just fill out the Australia order form, and we can arrange everything for you! We’ll give you the best prices on Herbal Fiberblend in Australia – you won’t find a better deal!